Kids are goofy and fun. I’ve uploaded more pictures into the photo gallery. 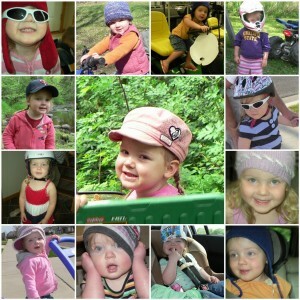 I decided to pull together a mosaic of the hats and helmets that Courtney runs around in. We don’t have pictures of everything she puts on her head, but this gives an idea of what she enjoys.